FSO Harmonic Scanner 7 with neural network integration. Yes, there are plenty of harmonic scanner indicators out there free to download. But also very certain is that not even one of them will work accurately. Would you trust a free indicator and trade your real money with it? Where is the proof that such free indicators will work? The most free indicators are open source, meaning many people have created or manipulated the source code of these indicators. You do not know, maybe some of them with bad intentions have touched the source code, too. Therefore do not trust any free indicator at all, especially not on live accounts. On top, free indicators are not being tested long enough to ensure 100% failure free operation. When it comes to paid indicators like the FSO Harmonic Scanner for example, you can be sure the Forex trading systems like these are legit. This very harmonic scanner has been developed by FX Lech Group Ltd. in Hong Kong, a company with a very good reputation in the Forex industry. The FSO Harmonic Scanner has a neural network integration to ensure accurate non-repaint trading signals. The neural network created by FX Tech Group Ltd. has been online since late 2016 and produces Forex trading decisions with extreme high accuracy. Only around 5% of all available commercial Forex indicators are using artificial intelligence neural networks to support the Forex trader with their judgment to either buy or sell and of course, make profit from the Forex market. The harmonic scanner and the Agimat FX™ trading system are using such advanced technology and making them the best forex indicators in the industry as of today. We have more than 5.000 active installations of the harmonic scanner around the globe. The software has been trademarked and registered with the USPTO (Untied States Patent and Trademark Office) to ensure uniqueness. 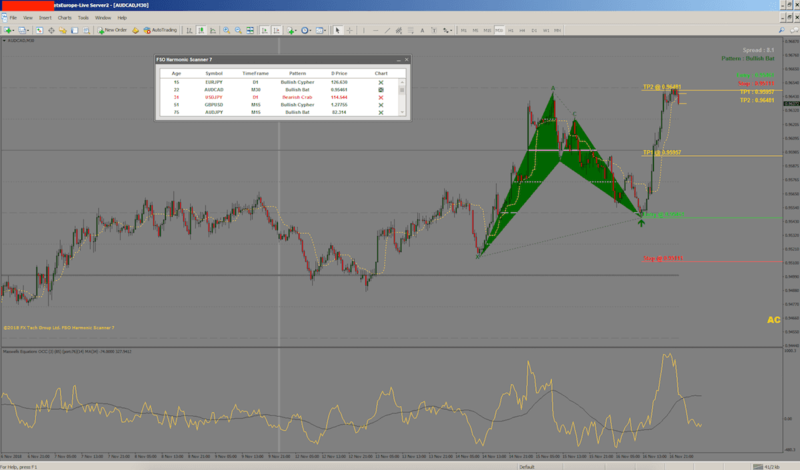 Every year around April we roll-out free updates of the harmonic scanner to adapt Forex market conditions. These updates are free of charge for every license holder, no matter what year they bought it.